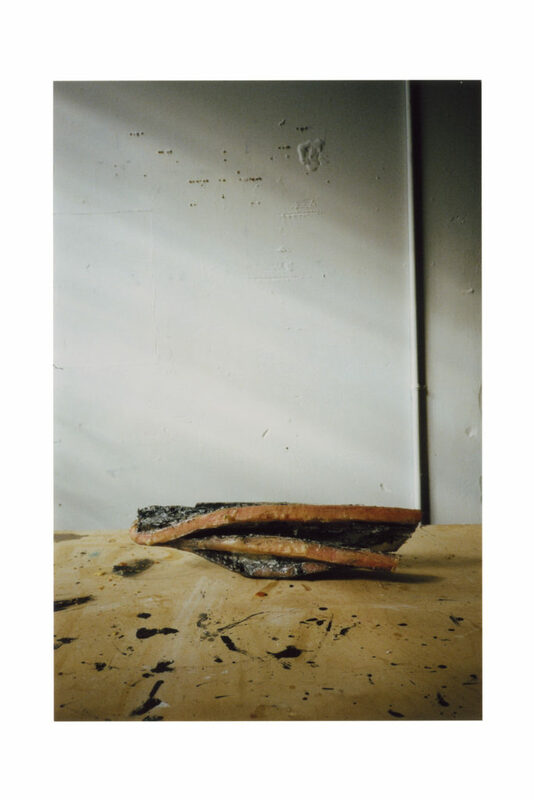 Sculptures: a Project by Erik Lindman with Photographs by David Schoerner. Emmanuel Barbault, in collaboration with Almine Rech Gallery, is pleased to present an installation of new sculptures by Erik Lindman – a first for an artist primarily known for his paintings – alongside photographs in which these sculptures are activated by David Schoerner. Lindman and Schoerner have produced a publication, Photographs of Sculptures (Hassla Books, 2019), featuring these images. Laid out in sequence, these photographs point towards the mutability of two and three dimensionality implicit in Lindman’s sculptural engagement, which here is further heightened by Lindman’s large charcoal line drawings, made from observation of his own sculptures, that will hang directly on the gallery’s wall.